This review was pending since a long time and I had tried this like a month ago! I am so lucky to be a beauty blogger :) Trying, testing and reviewing is what I love to do the most! 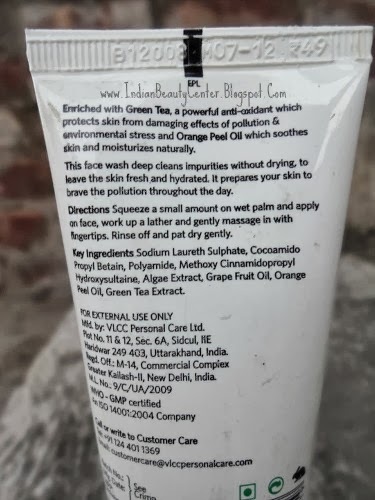 So, now coming back to the face wash...This is just a dirt cheap facial cleanser that, as you can see, is from VLCC- a brand whose watermelon face wash completely impressed me! Did this face wash also impress me? Did it work for my sensitive skin? Does it control acne or oil? 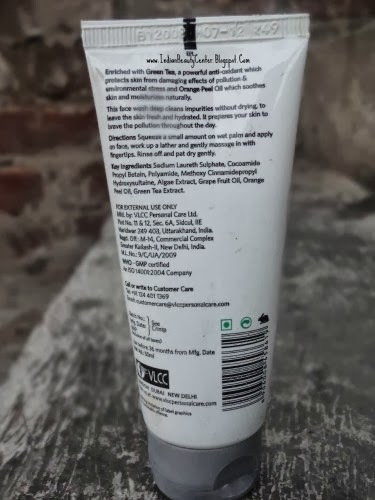 Product Description- VLCC Anti pollution face wash cleans impurities without drying, to leave the skin fresh and hydrated. It prepares the skin to brave the pollution throughout the day. Directions for use- Squeeze a small amount on wet palm and apply on face, work up a lather and gently massage in with fingertips. Rinse off and pat dry gently. This comes in a tube form with a flip-top cap and yeah, the tube is pretty normal and slightly colorful with pictures of orange and all. 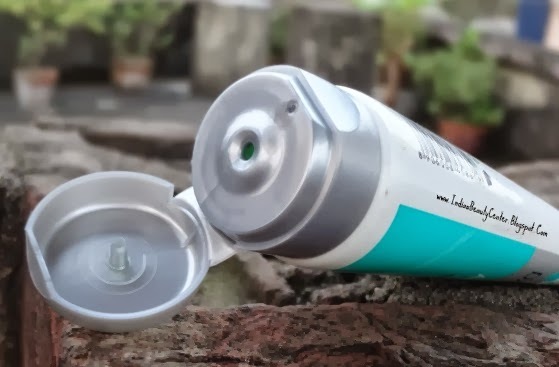 The cap is tight and the product, thus, becomes travel friendly. Before starting to tell you more about this face wash, I have to tell you that this is not the best face wash in town! However, it lathers perfectly (Hmm...SLS content *spank*) but does not spread evenly onto the skin. The face wash is slightly thick in consistency and smells like soap. Some may not like the fragrance, just like me. Now, the face wash cleanses the skin nicely but leaves a slight slippery feeling behind. To get rid of the slippery feel, you need to use lots of water- which means wastage of water. The face wash adds a glow to the skin, makes the skin bright and tight but it does dry it out, slightly. However, this face wash did not break me out. Neither did it irritate my skin. 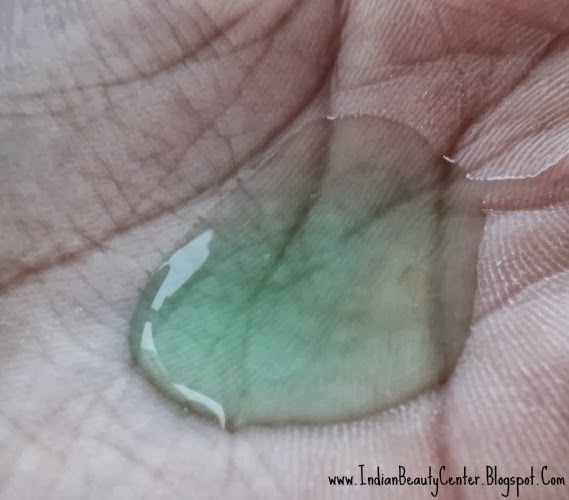 This face wash is just an average one, which cleanses the face nicely and is dirt cheap! The face wash would last for more than 20-25 days as a little goes a long way. 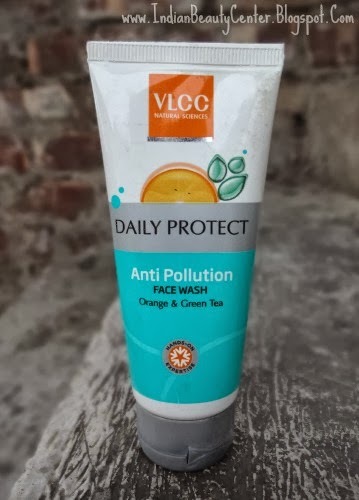 This VLCC face wash does nothing to protect the skin from pollution and does not help with tan. Neither does it claim to remove tan. It's always a pity when products don't live up to the hype and are not as good as you hope. followed.. waiting for u to follow back. somehow i never like vlcc products!